With the summer coming to a close you may be thinking that your chance to escape to the coast has gone… This is far from the truth! 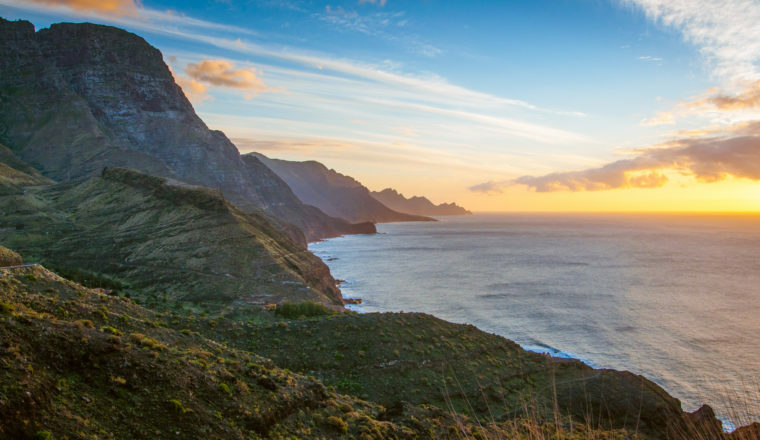 We have compiled a list of 6 self-guided walking holidays that will allow you to bond with your loved ones and unlock the true potential of these culturally rich coastal towns and villages. 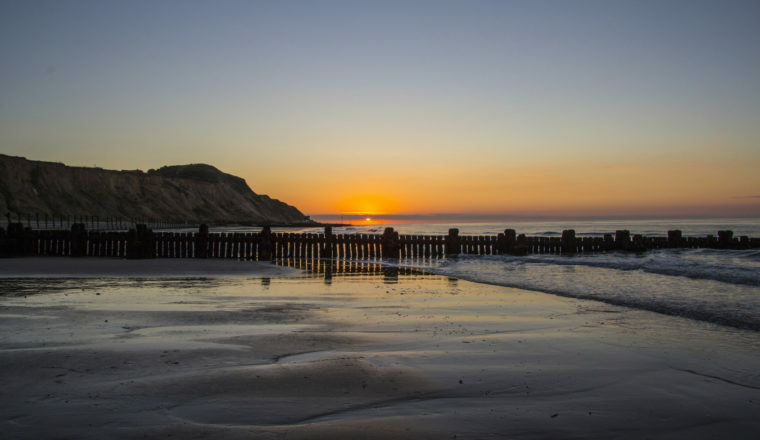 The first walk on this list begins in the quaint Burnham Deepdale and comes to an end in the slightly busier coastal town of Sheringham. Between these two areas is a fantastic array of uncomplicated and leisurely terrain including saltmarshes and mudflats that are revealed by the retreating tide. 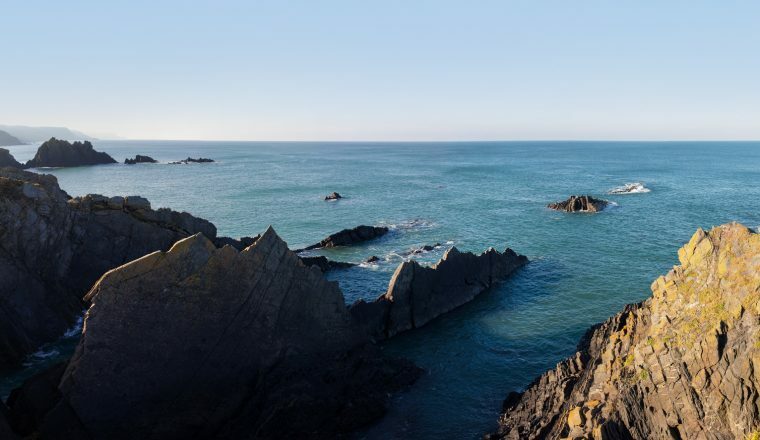 This relaxing route will take around twelve hours to complete, we suggest you distribute these hours across at least two days to properly allow yourself to unwind at this tranquil coastline. This route, in our opinion, is perfect during the late summer. This is when temperatures have dropped to a more comfortable level and the beaches are a little less busy, but you can still enjoy the benefits of the summer sun setting over the mesmerizing mirror like reflections in the pools on the mudflats. This walk is considered by many to be a classic of the United Kingdom, it is a perfect destination for families looking to adventure and explore and educate their children. Starting in Eastbourne this route will take around seven hours to complete in its entirety and you will not need more than one day. 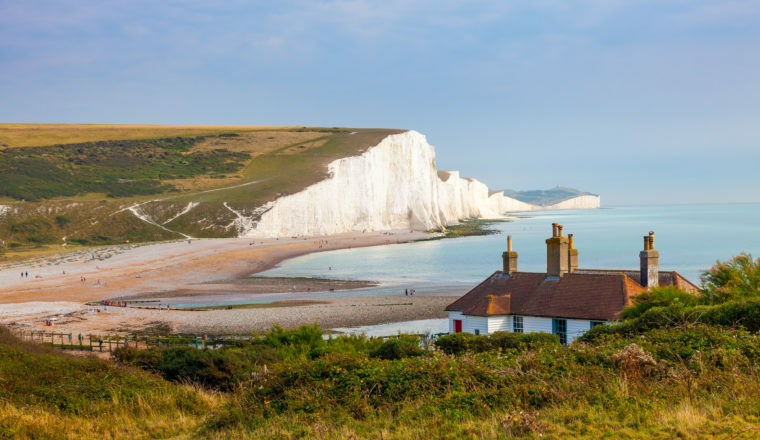 Throughout these hours you will pass the dramatic and sensationally white cliff faces of Beachy Head and Seven Sisters and even have the opportunity to hunt for prehistoric fossils on the rocky coastline. It really is the perfect day out for active and inquisitive families and can be a great day out all year round, as long as you remember to dress appropriately for the weather! 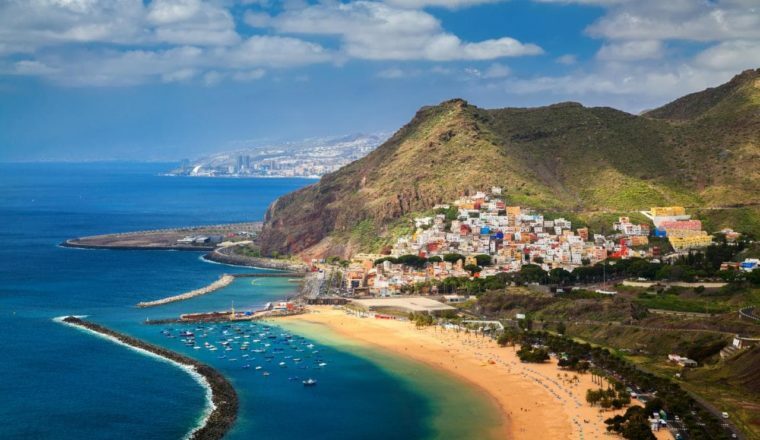 Gran Canaria, part of the Canary Islands located off the east coast of Morocco, is sometimes described as a miniature continent due to its impressive variety of landscapes in such a compact space. This is a trail that is recommended to more experienced walkers as you will have to navigate your way through barren volcanic mountain ranges, dense forests, and tropical plantations as well as the bright whitewashed villages and luxurious beaches. One of the many highlights of the walk would be the chance to see and experience the view of El Roque Nublo, an eighty-meter tall volcanic rock that more so resembles a sculpture. This self-guided trip one of the best ways to experience the culture of the island and its residents and is also available all year round thanks to the Mediterranean climate. 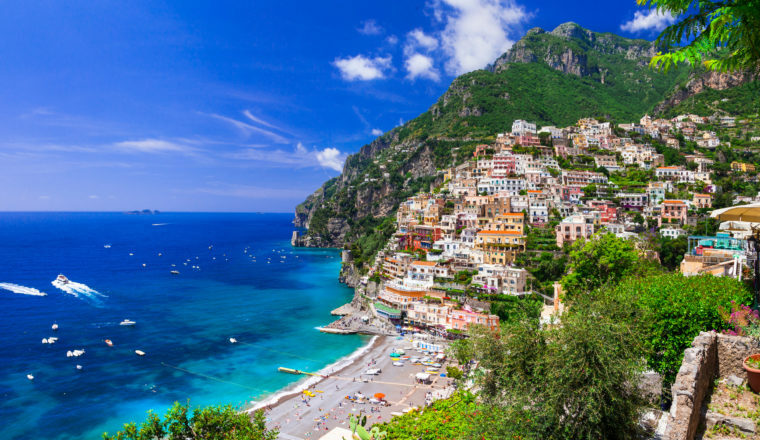 Located on the west side of Italy’s sprawling coastline is the picturesque hillside town of Amalfi. 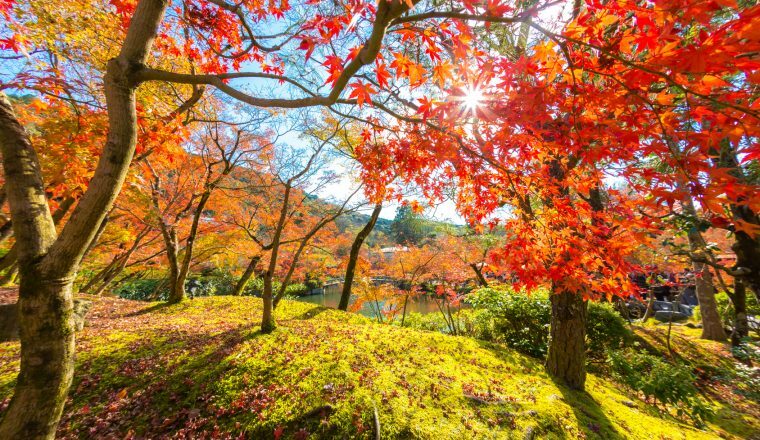 These trails are ones which incorporate everything we love about walking and more, they are a perfect combination of culture, nature, and relaxation. 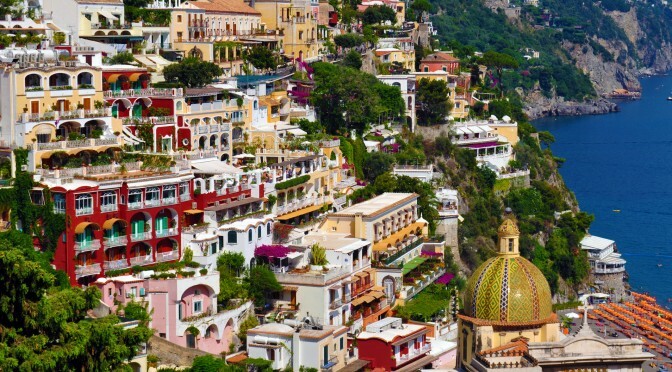 For this reason, Amalfi is one of the most popular walking destinations in the world creating an infectious positive and social atmosphere amongst groups on the trails (if you are someone who prefers a more personal experience you can easily be avoided by traveling in off peak times or taking less popular routes). 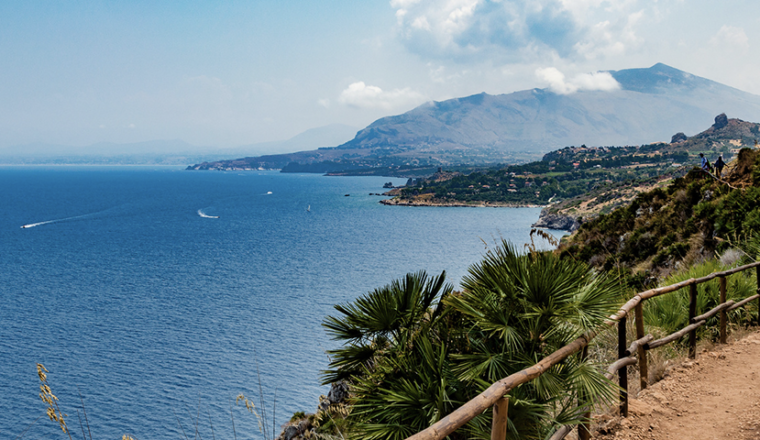 Many will be pleased to know that the main trails are more than suitable for beginners, and there are plenty to choose from, meaning you have the choice of taking a scenic stroll to the beach, trekking to Pompeii to discover two thousand-year-old histories, or simply ascending the cobble paths in the town and experiencing the food and wine! 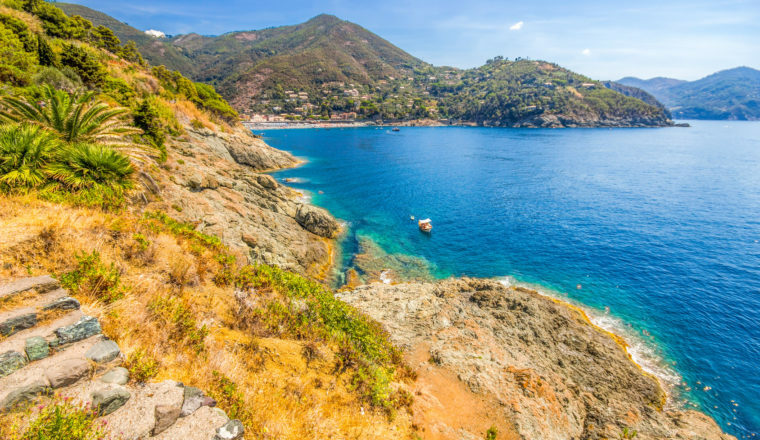 Also located on the Italian west coast is Bonassola, a must visit destination for anyone who is looking for complete relaxation. Bonassola is a small laid back beach town at the base of beautiful emerald hills of Cinque Terre that host a number of quiet, secluded and flower lined trails. The beach cove itself though has to be the centrepiece of this area, the vivid blues of the shallow, glimmering ocean look beautiful all year round. Bonassola is definitely the perfect paradise to simply spend quality time with your friends and/or family and forget about the stress of everyday life. 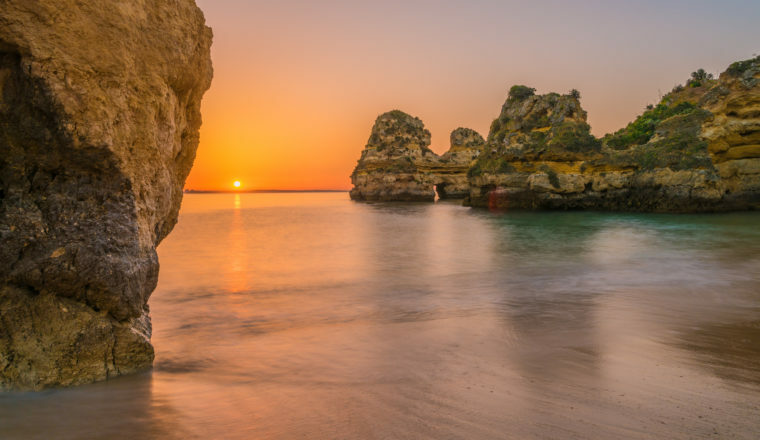 The final trail on our list is another which is considered a classic, the Algarve is of course home to the breathtaking rock formations that have been formed by countless years of erosion. On this walking holiday, you get to experience the winding trails that lead you down the coast through these wonderfully formed, supernatural, arch like rocks and then retreat to the buzzing towns of Lagos Sagres and Salema to experience the local hospitality and of course the food! We believe this is another location which is best to visit in the late summer when the tourism is dying down for the year as since this is such a classic and inspiring location it can get very busy throughout the summer.